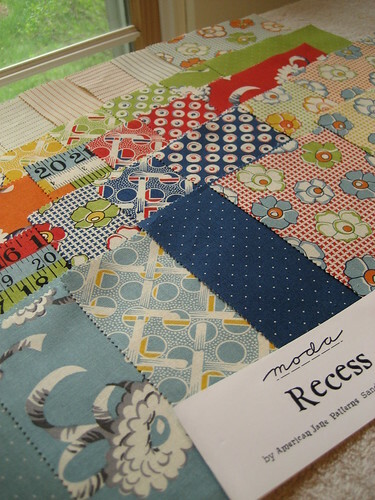 Fabrics for Bee Modern Quilting Bee, originally uploaded by SewLaTea. I’m looking for dresden plates, hexagon flower gardens and wonky stars. The girls in Bee Modern are so talented and I can’t wait to see what they do! 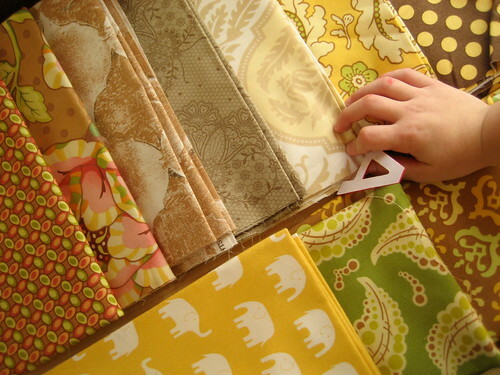 These are two of my favorite things…, originally uploaded by SewLaTea. Two things I can’t get enough of…my kiddos and my fabric 🙂 They both make me HAPPY! 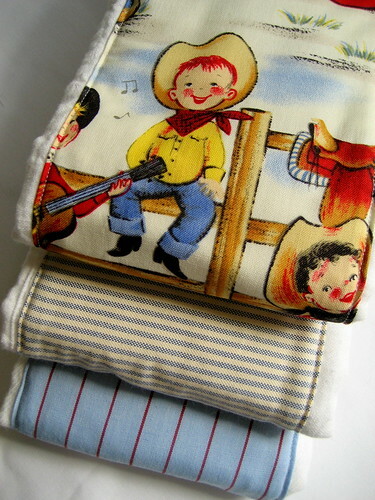 Burp Cloths for a baby boy, originally uploaded by SewLaTea. It’s been a busy, busy summer, with lots of acitivity and less mommy time with Jack being home. But school is back in session, and mommy is getting back into a groove 🙂 My first completed project for September are these burp cloths for a friend’s new baby boy. I just love Michael Miller’s Lil’ Cowpokes fabric, and I had these men’s shirting fabrics waiting for the right project…so there you go. I think I might need to use these men’s shirting fabrics for more…a boys quilt? Ideas, ideas, ideas. Speaking of ideas and projects…I have many STARTED projects that need to be finished! 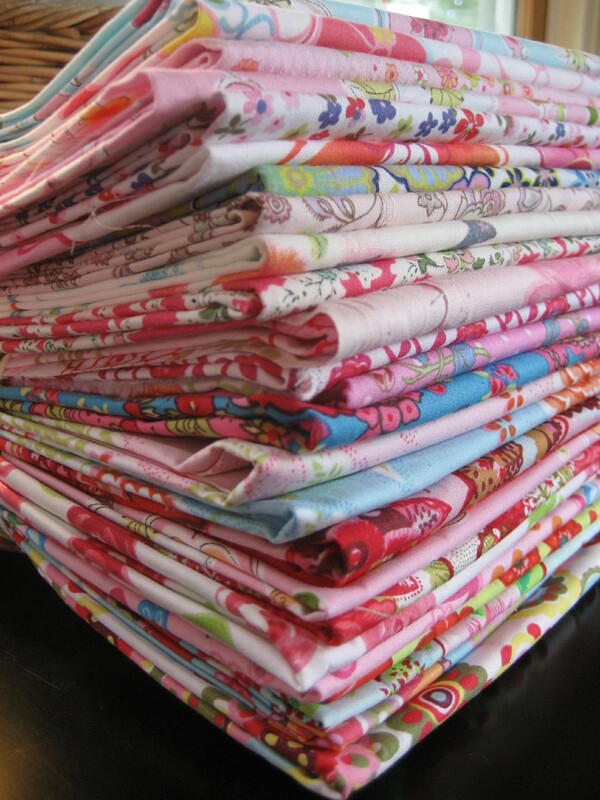 My next two “projects” are more like dilemmas…what to do with this amazing fabric?! 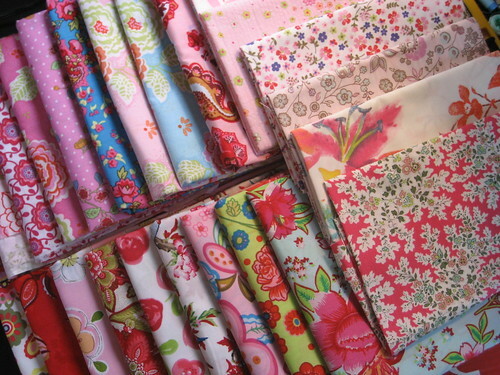 I have a ton of Anna Maria Horner that needs a complimenting quilt design…and I have been collecting all the red and aqua fabric I can find (this pic just shows some of it) to finally make a much desired “raqua” quilt…again, I need a design. Hmmm. 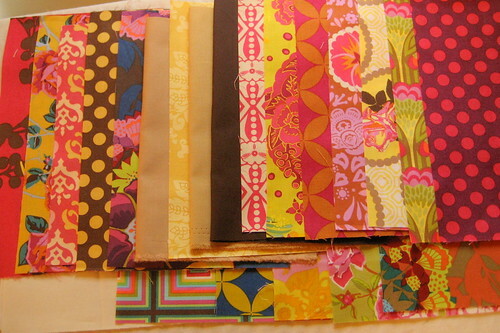 I have been staring at these fabrics for months. What to do, what to do. Any suggestions?! Sunday Stash #2, originally uploaded by SewLaTea. Also…dun dun dah, I joined Kindred Crafters in a coaster swap! You can still join us, the join by date is May 8th. You definitely gotta check it out. And on that note…I’m fully committed and will be nice and busy for a bit. Love that! Ok, time for a little fro yo (Ben & Jerry’s Cherry Garcia) and then off to bed! Night!